Check out this cool video about Riverwest 24 – a bike race that's so much more than a bike race. Held annually in Milwaukee's Riverwest neighborhood, the race sends competitors through an urban course, challenging riders to complete as many laps as they can within a 24 hour period. There are awards in a number of different categories including solo, tandem, and team. The route a rider takes is up to them, as long as they hit a set of checkpoints on each lap, much like traditional "alley cat" urban bike races such as the Chippewa Valley's own Valley Cat. Things get interesting on the Riverwest 24 course at "bonus checkpoints" placed throughout the course. Every year organizers design a set of surprise checkpoints where riders can add laps to their scores by completing odd challenges, such as sloshing down a Slip & Slide, receiving an embarrassing haircut, or getting a (real) tattoo. Riverwest 24's 2012 participants. Image: Riverwest 24. The RW24 was born through community block watches throughout Riverwest. It is a way for our neighborhood to welcome new people, strengthen relationships within the community (and beyond), and show everyone why Riverwest is amazing. From riders to volunteers, organizers to community sponsors, everyone brings a different talent and interest to the table. There is no way a few people talking about a bike race in their back yards could have come up with something like this. A whole neighborhood made this. 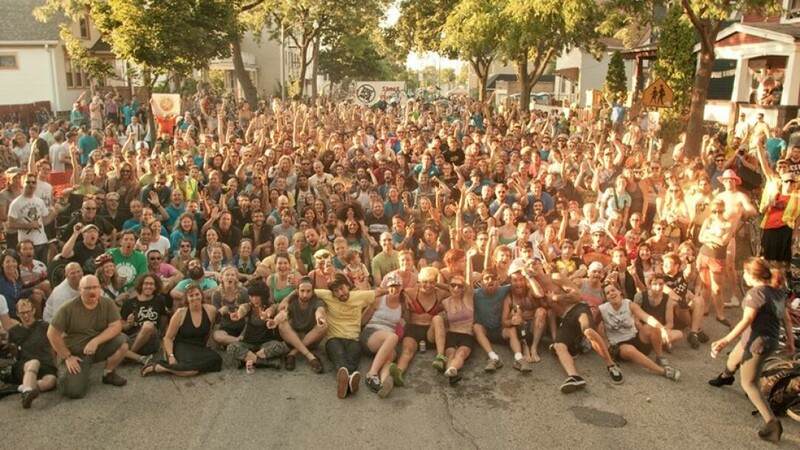 This year's Riverwest 24 – its 7th installment – begins on Friday, July 25. Check out the website for more details. Wisconsin Public Television's Wisconsin Life tapped the Chippewa Valley's Michael Perry to muse on crops (or the lack thereof). The segment aired on Monday, July 21. The farmers we feature on Around The Farm Table all have one thing in common – they strive to create healthier, nutrient-dense food while feeding the soils and conserving the land for the next generations. – Host Inga Witscher on her showIn case you hadn’t heard about it before, Around the Farm Table is a Wisconsin Public Television program hosted by Osseo dairy farmer Inga Witcher featuring midwestern farmers and food producers – and it’s looking for some help. The show’s second season is currently in production, and in order to reach a wider audience than ever before, its producers are looking to crowd fund enough money to complete the last five installments of the 13-episode run. The show has an Indiegogo campaign underway to achieve their goals. Funders have the ability to choose how much they are willing to donate, and in return a number of perks are available, including signed recipe cards, Around the Farm Table’s soundtrack, custom aprons, aged cheddar cheese straight from Witcher’s farm, an organic dinner on the farm, and many other cool opportunities. The money raised will go towards hiring crew members, purchasing food for recipes, travel costs, and any equipment needed to produce even more high-quality content for your viewing pleasure. The campaign ends in less than a week – on July 23 – so go check it out. We’d love to see a locally produced TV show focusing on Wisconsin food thrive. While students in UW-Stout’s School of Art and Design are often recognized for providing top notch work (like so), the focus will be shifted a bit this summer – to shed some light on a member of its faculty. 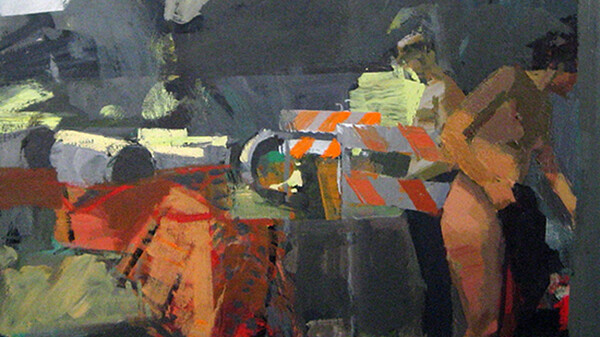 Assistant professor Tim Tozer has two paintings featured in art shows this summer in New York City, and “impressive” doesn’t even begin to describe them. Tozer’s painting “River Study” is in the eighth annual New York Academy of Art Summer Exhibition, which runs through July 12. Tozer said that the painting was intended to be his “exploration of an old archetype in art – bathers beside a body of water.” A second, more abstract piece titled “Trefool,” will be seen in the 23rd annual Bowery Gallery show from July 31 to August 16. This isn’t Tozer’s first art rodeo; the England native came to the U.S. after receiving the coveted Andy Warhol Scholarship at the New York Academy of Art. According to Stout, he’s since had a number of paintings featured in shows all across the country. 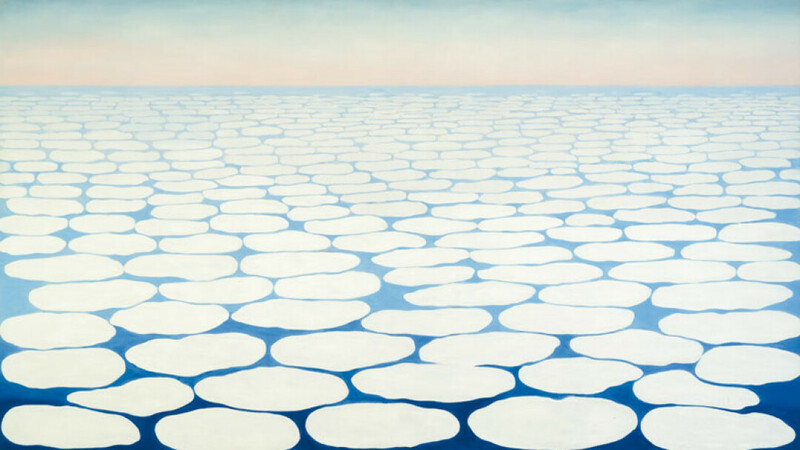 Georgia O’Keeffe’s “Sky Above Clouds IV” ... coming to a billboard near you? This summer, 50,000 donated billboards, screens, and other advertising spaces across the United States will feature classic works of American art in the largest outdoor art show ever created, entitled Art Everywhere US. The project, inspired by last year’s Art Everywhere UK, is the result of a collaboration between five American art museums: the Art Institute of Chicago, the Dallas Museum of Art, Los Angeles County Museum of Art, the National Gallery of Art, and the Whitney Museum of Art. Each museum contributed pieces of remarkable American art to create a gallery of 100 and called on American citizens to vote for their favorites, narrowing those pieces down to 58 to be featured on 50,000 donated advertising spaces in airports, malls, transit centers, and movie theaters, as well as billboards and buses. Sound interesting? Check out the Art Everywhere US website (arteverywhereus.org), and keep your eyes peeled for some classic art around the country later this summer. The future (or finality) of Bon Iver has been tossed around in interviews for years, but we know at least for now it still exists. 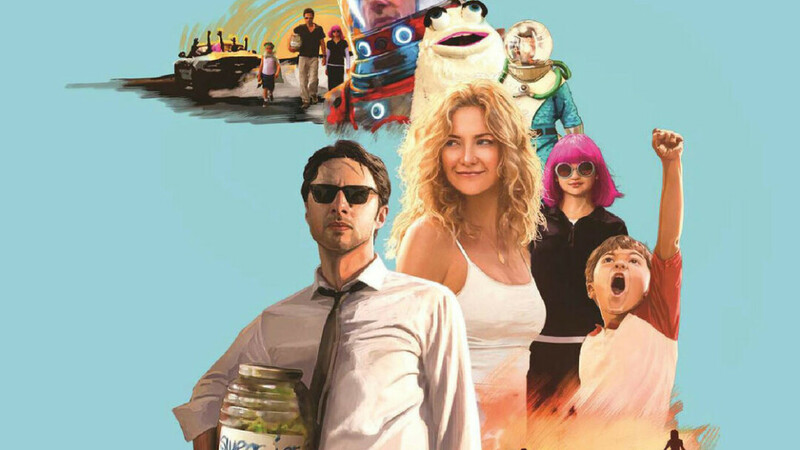 NPR Music premiered a new song, "Heavenly Father," by Vernon that was recorded for the soundtrack of upcoming feature film Wish I Was Here – a Zach Braff joint. Braff is known for hand selecting music for his films – the soundtrack to his first film Garden State (you know, the one you used to show your crush how edgy and quirky you were) has sold nearly a million and a half copies. This new film features Coldplay, Cat Power, Paul Simon, and – of course – The Shins. Bon Iver's 2011 hit "Holocene" also makes an appearance. Former Eau Clairian Chris Porterfield made some waves with his first album as Field Report, picking up national press and touring the country many times over. 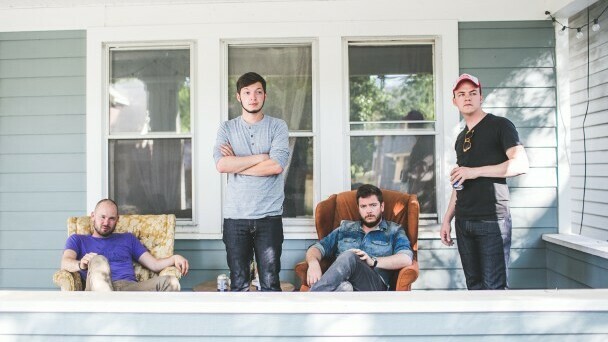 The now Milwaukee native also snagged locals Shane Leonard and Ben Lester to join the group on drums and pedal steel, respectively. Now – in an interview with Stereogum – Porterfield announced the group's second album, Marigolden, which will be out Oct. 7 via Partison Records. The group has been recording the album in the great white north of Canada in between shows this year. Watch a teaser (with a sampling of music) below and hopefully we'll see these locals come home again soon. 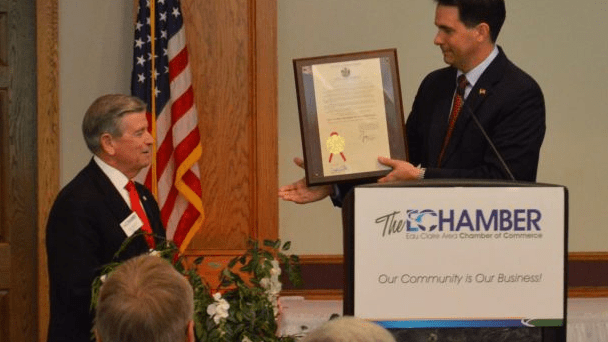 At a lunch event Monday afternoon with the Eau Claire Area Chamber of Commerce, Wisconsin Governor Scott Walker made comments in support of the Confluence Project. On Twitter, WQOW reporter Aarik Woods quoted Gov. Walker, saying, "It's a great partnership with public, private sector, so I support going forward with this project," while WQOW's main Twitter feed quotes Walker as saying, "We think that's an important project not just for Eau Claire and not just for UW-EC, but for this entire region." In the past, Walker has expressed interest in the partnership model seen in the proposed Confluence Project, saying at a press event on June 5, 2013, "We're very interested in it. What I like about this particular project in Eau Claire is it's leveraging public and private dollars." The "Business Luncheon with Governor Walker" event took place on Monday, June 23 at The Florian Gardens in Eau Claire. The Leader-Telegram has a few more details. @GovWalker on #ConfluenceProject: "We think that's an important project not just for EC & not just for UW-EC, but for this entire region." @GovWalker announces support of Confluence Project today at @ecareachamber lunch, cites innovative partnership, community support.